I was on a journey to circumnavigate the US and Nova Scotia this year, but a miracle birth happened in my family, causing me to put on the brakes—in fact to put on the parking break for a month. My pal Barbara and I met in Virginia for a few days to visit Monticello. 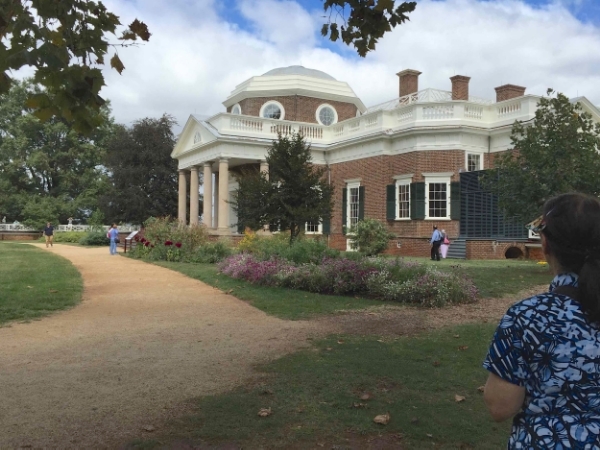 An avid gardener and garden-planner herself, Barbara had wanted to tour Jefferson’s home for a long time. Summer 2014. For three really hot and humid days, I sat in my apartment listening to books on Audible, finishing a project I’d started a couple of summers ago, and had worked on over my summer vacations--to scan a giant box of my mom’s photos.